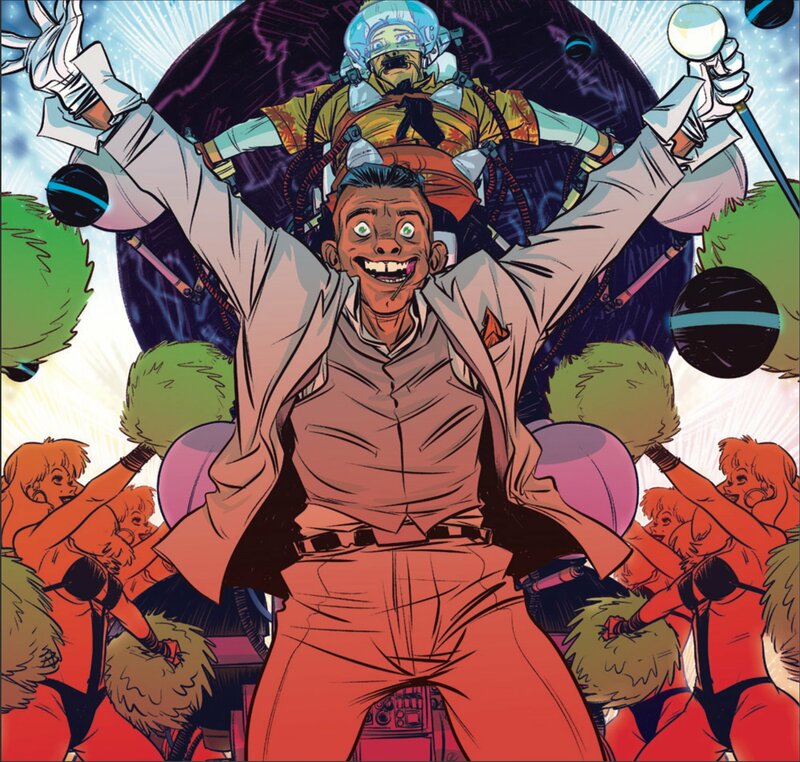 The Weatherman #4 Review – AiPT! LeHeup and Fox continue to show that The Weatherman is a book mature readers should be keeping up with. Another issue, another new character. The Weatherman continues to be one of the best ongoing books out today with its critique of contemporary culture and over-the-top artwork. This month’s issue sees Nathan Fox find himself in an even worse situation, Agent Cross looks to meet an old “friend” and there is a whole lot of violence in between. Jody LeHeup keeps showing that he can be both one of the funniest writers out right now, as well as one of the most sadistic. This issue features more than one humorous moment along with some of the most sickening gore to be in a comic book in a while. This is thanks to Nathan Fox’s disgusting depiction of the breakneck action sequences. There’s a particularly beautiful dream sequence this month that is eerily reminiscent of a certain scene from Terminator 2. The writing and art combo throughout this scene shows just how good the creative team are together. Jody LeHeup has an interesting way of writing a comic. He never slows down. As new characters are introduced he doesn’t put the brakes on to explain who they are or where they come from. He lets the characters do the talking and allows Nathan Fox to show and not tell. It’s great for a book to treat its readers with some respect. This means that the book never has to come to a halt and that the story can just fire through 22 pages. It’s up to the reader to keep up. The coloring is a little flat, but by issue four it’s easy to see that is a stylistic choice. It actually works well in the over-the-top violent scenes but it would still be nice to see more variety in the coloring style. LeHeup and Fox continue to show that The Weatherman is a book mature readers should be keeping up with. From humor to gore, it has it all — a treat for those who like adult science fiction. Great mix of action and humor. A struggle for those bad with names.